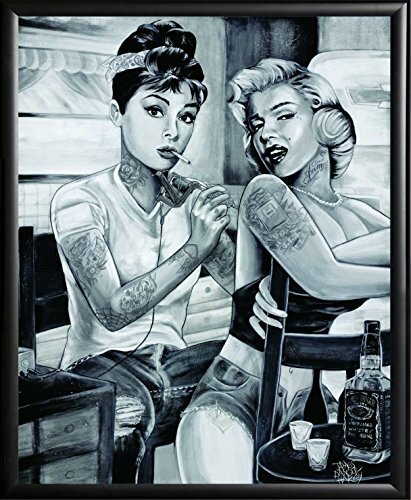 One Profesionally Framed Audrey Hepburn and Marilyn Monroe Tattoo Art poster is framed in a Basic Black Finish Solid Wood frame. Ready to hang on the wall. Easy to use. No glass parts.